Relationships ebb and flow over time, and so do feelings of connectedness with your partner. If you have ever been in a relationship or currently are in one, you may notice shifts in how connected you feel to your partner at any given time. Feeling connected in your relationship can look different for you than it does for your partner. It is important and healthy to have an open line of communication with your partner on what makes you feel safe and in tune with your partner. It is equally important to know what safety and connectedness means for them. But let’s face it — life can get very busy and hectic, and making time and effort for clear communication and connection is not always easy, and it is not always a priority. However, it is critical to maintain communication and connection in your relationship, as these are the building blocks of a stable and functioning partnership. Couples who want to stay together long term need to prioritize their communication and connection. Let’s explore issues that are barriers to connectedness. 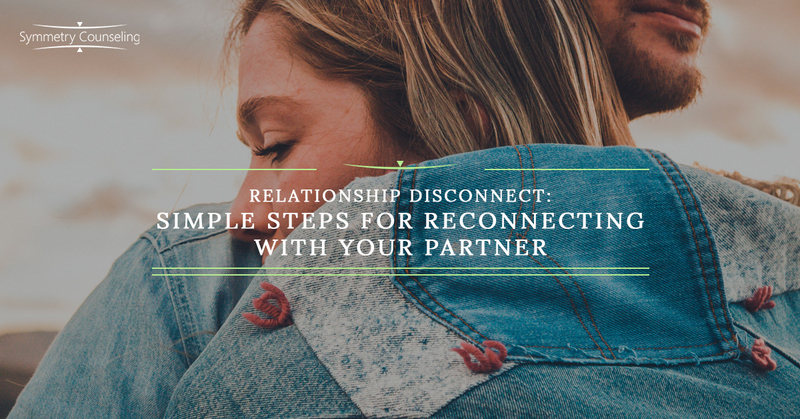 In the article 7 Habits that Make you Feel Disconnected from your Partner Over Time, Carolyn Steber outlines several issues that contribute to disconnection in a relationship. Steber first mentions that doing some of these unhealthier habits once in a while is not that harmful for a relationship. However, if these habits continue and go unaddressed, your connectedness may be compromised. One of the habits that Steber discusses is “leaving for the day without saying ‘goodbye’”. Reflect and ask yourself if this is a habit that you and your partner exhibit. Not saying goodbye to one another can have a great impact on your relationship — it can make you feel like you don’t matter. Lack of acknowledgement is a precursor for feeling disconnected. It is also important to take time to greet one another when you get back together. A gentle hug or kiss, even a simple “hi, how was your day”, can set a much more positive tone for how you and your partner will engage with one another. If you’re lacking these behaviors in your relationship, a solution for fixing this is to have a conversation with your partner about it. Share your observation on these behaviors lacking, and make an agreement to work on giving each other daily or regular greetings. Another disconnecting habit that Steber explores is “only communicating via text”. In our day and age, technology is widely available and it is a convenient tool used for communicating with people, including our partner. However, if you get caught in the habit of communicating important or emotional matters solely via text, you open the door for ample miscommunications. When you communicate mostly through text, you also miss the body language piece of communication, which is essential for feeling connected with our partners. If this is a habit that you and your partner partake in, try to stop this pattern by texting your partner during heated texts and say something like “I think we should pause on texting about this. Let’s set aside time this evening/week to talk about this in person”. Communicating a new boundary about having important discussions face-to-face is a step towards breaking this habit. Turning to others to meet your emotional needs is another habit that Steber discusses in her article. I find this habit to be very problematic for couples because it prevents growth from happening in the relationship and creates a lack of trust. However, it’s also critical to point out that we cannot always go to our partners for everything, and it is important to have other relationships and supports. Keeping this in mind, make sure that you give yourself opportunities to turn to your partner for emotional needs prior to turning to someone else. Give each other the time and space to lean on one another. This will give you the chance to support one another and feel more connected. Relationship issues are always painful, regardless of how long you have been with your significant other. Sometimes, communication issues and lack of connection are too complicated and go too deep to be simply fixed by you and your partner. This is when couples therapy may be beneficial. Contact Symmetry Counseling to get connected with one of our skilled clinicians today!